Atlanta is a fascinating city with rich, vibrant culture unlike another other. Whether you’re in the city for a day or you’re just looking to travel in style, hiring a limo driver is the best way to see all ATL has to offer. But with so many options, it’s hard to know what to look for in a great limo service. Read on for 7 tips to help you pick the best service for the best price. Limo services are often quite busy. Accordingly, you’ll want to make sure you don’t wait until the last possible minute to reserve your great ride. Try and give your service at least a few weeks’ heads up. This will give them plenty of time to plan for you and your group, and you’ll have a guaranteed limo. Who are you taking with you? How far are you traveling in the limo? Will you need to pick people up along the way? There are tons of questions to ask yourself before hiring a service. Make sure you have the specific details ahead of time to prevent any headaches. Let’s face it, not all limo services are the same. You’re going to want to get the best service for your money, so make sure you read reviews. Finding out what others have to say is a fantastic way to get the nitty-gritty details of what the service’s copy isn’t saying. We understand that you’re concerned about safety. And so are we! 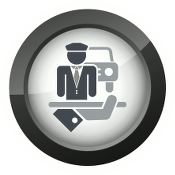 That’s why we make sure our drivers undergo strict training and receive specialized limousine insurance. That way you can enjoy the ride knowing you’re in safe hands. Always make sure your limo service uses only licensed and insured drivers. Your safety matters! You’ve got a ton of choices when it comes to picking your vehicle. Take the time to look at all of your options online. Whether you want a classic stretch limo or an SUV, we can put you in a limo you’ll love. Just pick your favorite! Whether you’re looking for airport travel or want an exciting night out on the town, it’s important that you follow the rules. While each service’s rules vary, make sure you know what’s allowed and what isn’t before your ride. Most services are okay with patrons drinking in their vehicles as long as everyone is 21 or older. Smoking, however, is strictly off-limits. Be sure to ask your service for a comprehensive list of rules before your ride so rider and driver alike can have a great time. Finally, have fun! Riding in a limo is a special event. Make the most of it with your friends and family, or wow your business partners. Hiring a car service is all about giving you the dream experience, so be sure to cherish every moment. 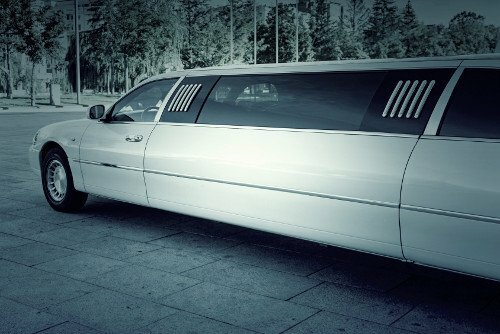 Now that you know how to reserve a limo, it’s time to pick your vehicle and ride in style. Get in touch today and see how you can reserve one of our vehicles for your special event today!